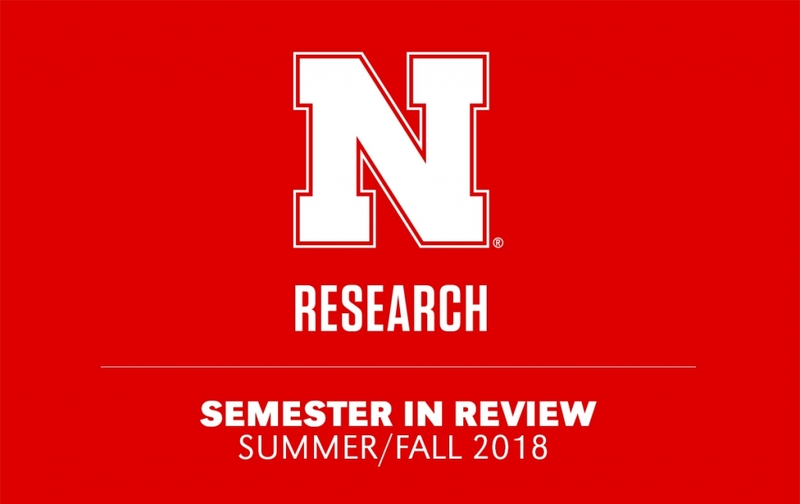 As the semester wraps up, take a look back at University of Nebraska-Lincoln research accomplishments from May through November. Highlights include major faculty awards, examples of faculty expertise, new leadership and plans for growth. 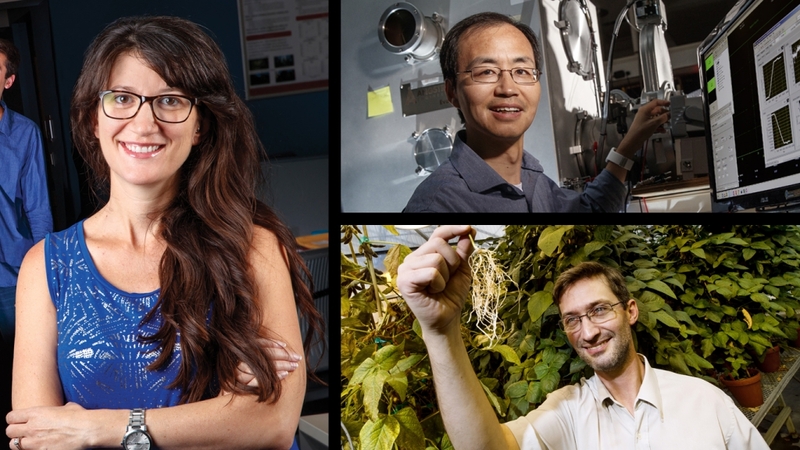 Nebraska researchers continued an impressive track record of earning early career awards from the U.S. Department of Energy’s Early Career Research Program and the National Science Foundation’s Faculty Early Career Development Program. Both programs are designed to support pre-tenure researchers. Xiaoshan Xu, assistant professor of physics and astronomy, received a $750,000 DOE award to develop a novel approach to spintronics that shows potential to make electronic devices even faster, cheaper and more energy efficient. Maital Neta, assistant professor of psychology, received a $756,611 NSF CAREER award to find out why people respond more positively to ambiguous everyday events as they age, which may provide clues for treating anxiety and depression. 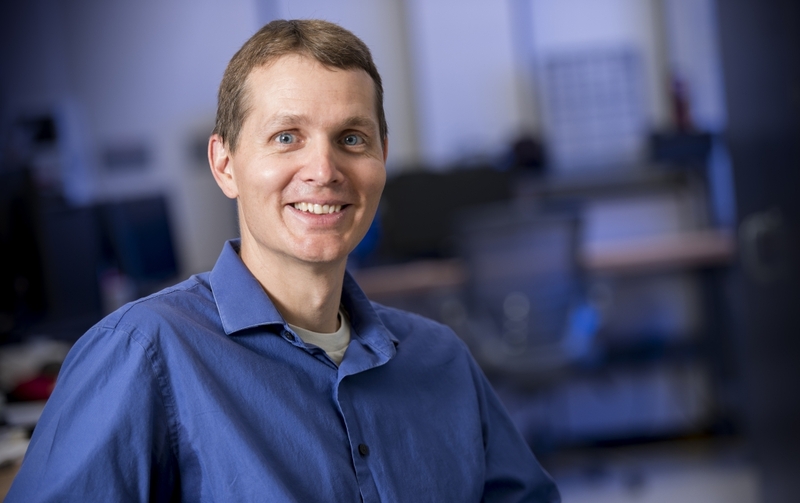 Marc Libault, assistant professor of plant biology, has a $573,573 NSF CAREER award to study soybeans’ and other legumes’ mutually beneficial relationship with the bacteria rhizobia. His work could help improve crops’ efficiency using nitrogen fixation, which could potentially reduce the need for commercial fertilizers. 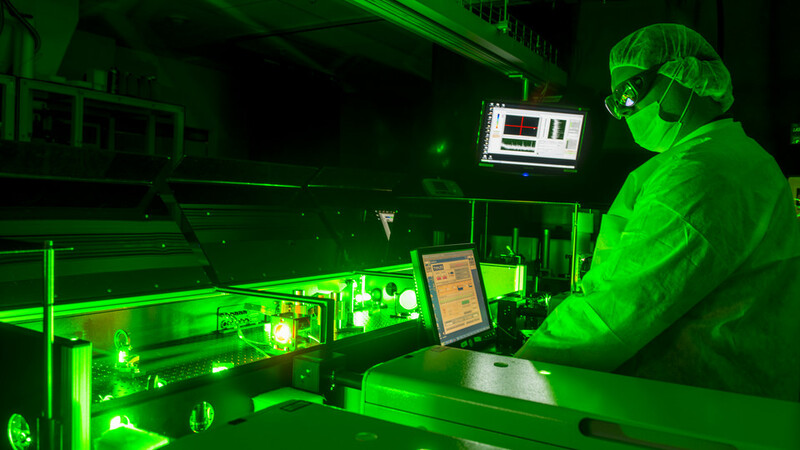 In October, the university’s Extreme Light Laboratory became one of nine founding members of LaserNetUS, a research network aimed at uniting the nation’s most powerful laser facilities and giving U.S. scientists increased access to this high-intensity, ultrafast equipment. 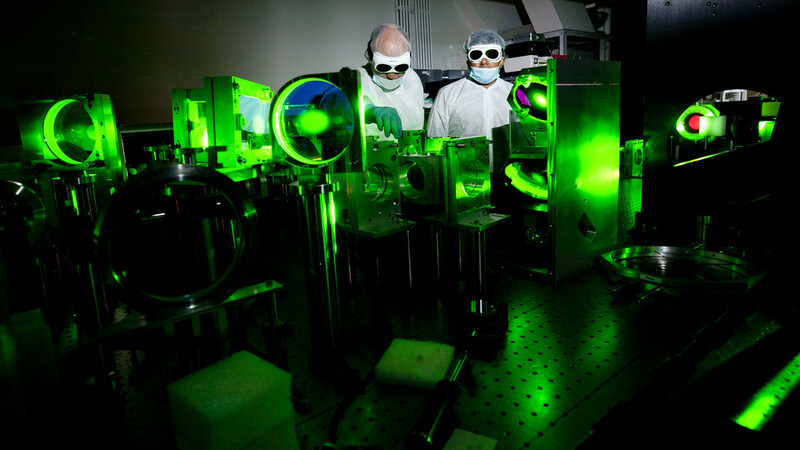 LaserNetUS, supported by a $6.8 million allocation from the U.S. Department of Energy’s Fusion Energy Sciences program, includes lasers with powers approaching or exceeding a petawatt – a million billion watts. The university hosted the inaugural meeting of the group, which plans to issue a nationwide request for proposals from scientists who could use the network’s facilities to expand their research. The network is enabling Nebraska to stretch one of its fortes: high-intensity laser physics research. 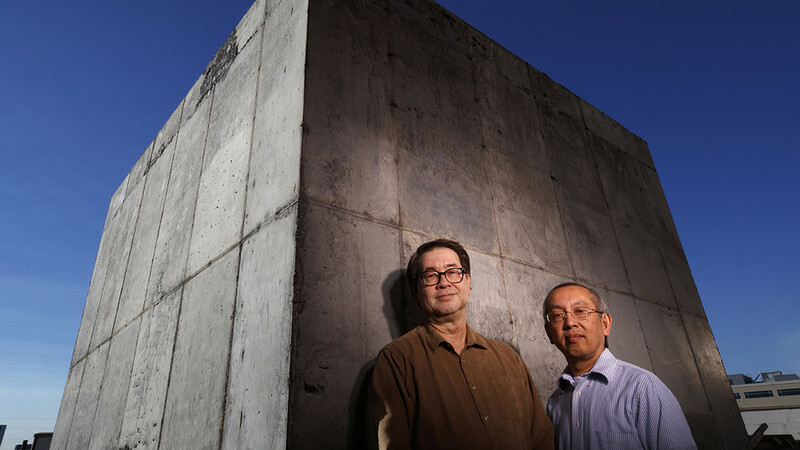 This strength was on full display this year, when a group of Nebraska researchers conducted an experiment where plasma electrons in the paths of intense laser light pulses were almost instantly accelerated close to the speed of light. This new application, dubbed an “optical rocket” by the research team, is an example of how light forces can be used as tools. An interdisciplinary Nebraska research team is using a four-year, $2 million grant from the National Science Foundation to help the state’s educators effectively teach computer science to K-8 students. Leen-Kiat Soh, professor of computer science and engineering, is leading development of the program, called Adapt, Implement and Research (Air@NE). About 100 educators from diverse districts statewide, including majority-minority, rural and Native schools, will take summer courses to boost their computer science knowledge and learn about a K-8 computer science curriculum that has been successfully used in the Lincoln Public Schools district since 2014. They’ll also join a network linking them to experienced computer science educators, who will support the teachers as they use the LPS curriculum in their home districts. Prem S. Paul Innovator of the Year: John Woollam, George Holmes Distinguished University Professor of electrical and computer engineering, and founder and president of J.A. Woollam. A leader in ellipsometry instrumentation, the company has secured more than 175 patents in its 31-year history. Breakthrough Innovation of the Year: Benjamin Terry, associate professor of mechanical and materials engineering. Terry’s research team is developing a biosensor for gastrointestinal surgery that provides real-time data monitoring and diagnostics. Emerging Innovator of the Year: Bill Kreuser, assistant professor of agronomy and horticulture. He developed GreenKeeper, a software application that helps turfgrass managers determine the ideal time to apply fertilizer and other inputs. Startup Company of the Year: Epicrop Technologies Inc., co-founded by former Nebraska researchers Michael Fromm and Sally Mackenzie. Epicrop develops epigenetic technologies that improve crops’ ability to withstand stressors such as extreme weather, leading to improved crop yields and resilience. The university’s Center on Children, Families and the Law is leading a project aimed at curbing youth homelessness in greater Nebraska. A $3.28 million award from the U.S. Department of Housing and Urban Development, announced in July, supports this work. In partnership with the Nebraska Children and Families Foundation and the Nebraska Balance of State Continuum of Care, the center is using the funding to strengthen existing programs, such as rapid re-housing and permanent supportive housing, and to launch new approaches that will directly serve youths and young adults under 24 years old across the state outside the Lincoln and Omaha metropolitan areas. More than 2,000 of Nebraska’s roughly 175,000 youths between ages 10 and 24 are homeless, according to recent counts. The project is one of 11 funded nationwide through the HUD program. The university filled key leadership positions for diversity and inclusion, research and graduate education. Marco Barker was named inaugural vice chancellor for diversity and inclusion Nov. 19. Upon joining the university April 1, 2019, Barker will lead the Office of Diversity and Inclusion and shape the university’s vision, strategic planning and advocacy toward fostering an inclusive, welcoming campus. Barker is currently associate vice president for diversity, equity and inclusion and chief diversity officer at Westminster College in Salt Lake City. Deb Hamernik, professor of animal science, became associate vice chancellor for research Oct. 1. She oversees faculty development, facilitates faculty networking opportunities with federal funders and promotes Nebraska’s research mission. Tim Carr, professor of nutrition and health sciences, became associate vice chancellor and dean of graduate education June 1. He is responsible for setting the strategic vision for graduate education and the Office of Graduate Studies, and advancing graduate and postdoctoral education. 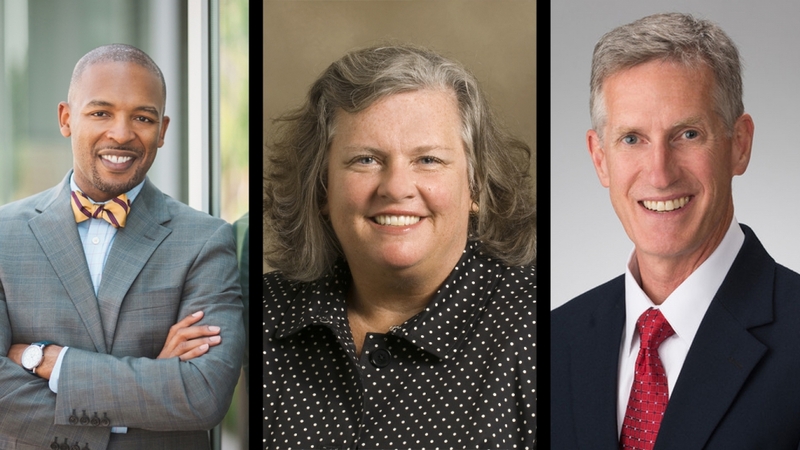 A record number of university faculty were named 2018-2019 Fulbright scholars, including the Distinguished Chair Award, the most prestigious appointment offered through the Fulbright U.S. Scholar Program. These awards enable faculty, administrators and professionals to conduct research, study and teaching abroad in one of more than 130 countries. Cory Forbes, associate professor of natural resources, is collaborating with German researchers to analyze data from a 2015 global study of more than 28 million teenagers to gauge scientific literacy. Jessica Shoemaker, associate professor of law, is a Fulbright Canada research scholar investigating aboriginal legal and resource rights. Jay Storz, Susan J. Rosowski Professor of biological sciences, is working on a project in Argentina on the evolution of novel properties of crocodilian hemoglobin. 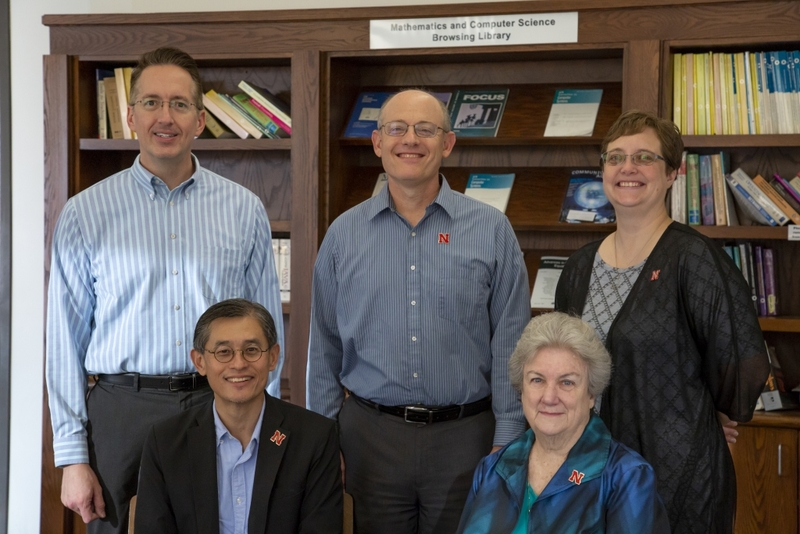 Yan Xia, professor of child, youth and family studies, is Nebraska’s first Distinguished Fulbright Chair. She is studying parenting during critical life transitions and comparing practices between China and Western countries. Andrew Zimbroff, assistant professor of textiles, merchandising and fashion design, is promoting innovative agribusiness entrepreneurship in Brazil. After years of steady growth in student enrollment and faculty hires, the College of Engineering is further expanding its capacity for research, education and outreach. 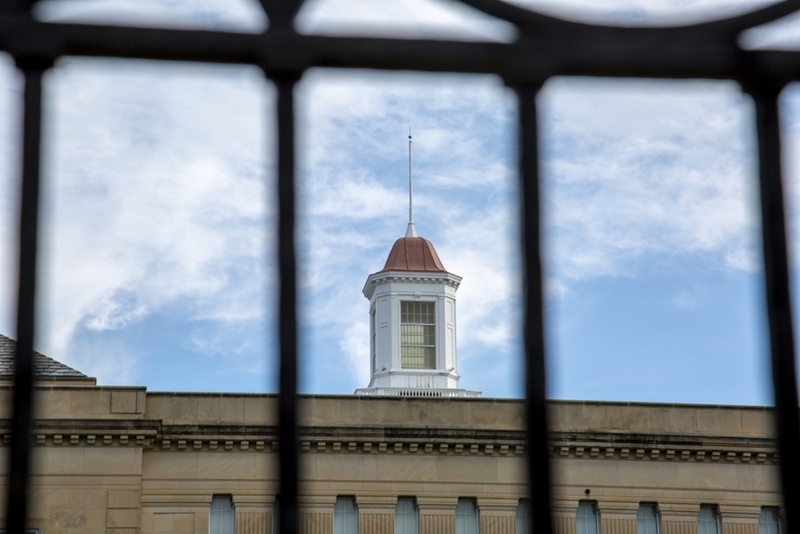 On Aug. 3, the University of Nebraska Board of Regents approved a $75 million building project to renovate Walter Scott Engineering Center and the Link, which connects the building to Nebraska Hall. Construction will begin in 2019. In May, the college opened the Nebraska Engineering Additive Technology Labs, putting the university on the leading edge of smart manufacturing. Prahalada Rao, assistant professor of mechanical and materials engineering, is using the NEAT Labs’ capabilities to improve 3D printing, the focus of his National Science Foundation Faculty Early Career Development Program award. Lance C. Pérez, Omar H. Heins Professor of electrical and computer engineering, became engineering dean May 10. Prior to serving as interim dean from July 2016-May 2018, he was associate vice chancellor for academic affairs and dean of graduate studies. Pérez joined the university in 1996. 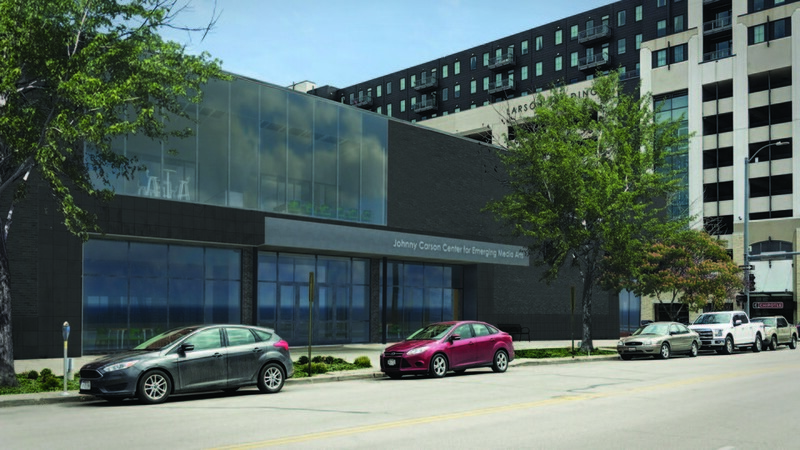 In August, construction began on the university’s Johnny Carson Center for Emerging Media Arts, set to open in fall 2019. 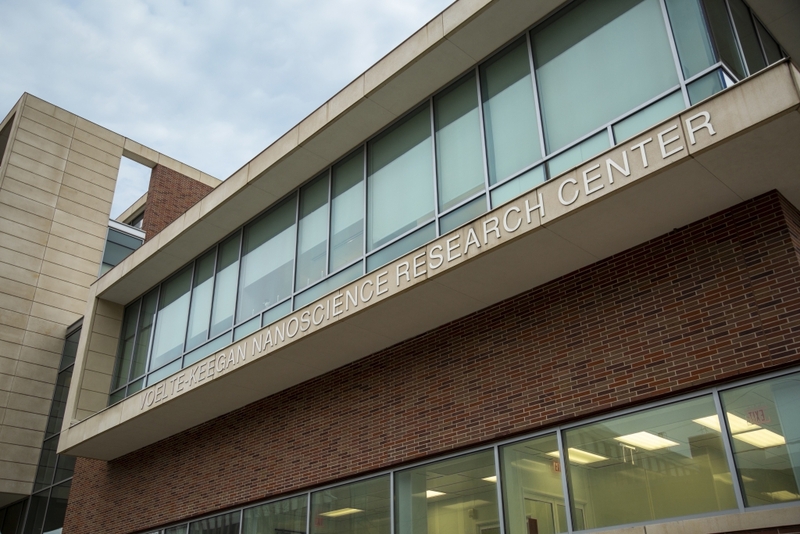 The center, focused on interdisciplinary learning, creativity and research, will be located at 1300 Q St., the former home of the Nebraska Bookstore. The three-story building will have a new façade on the outside, with a fluid and flexible interior featuring moveable furniture, upgraded building systems, network capacities and natural light. The $9 million construction project will be substantially completed by the end of July 2019. The center is a $57 million university investment made possible by a $20 million gift from the Johnny Carson Foundation. 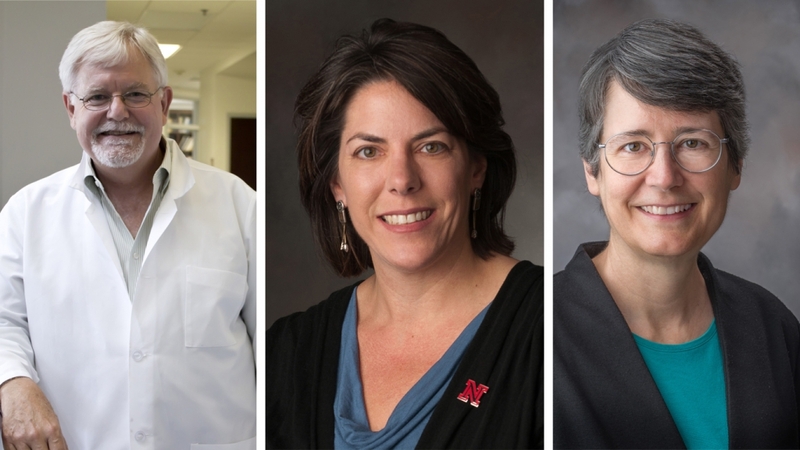 Three Nebraska faculty earned fellow status in prestigious organizations this semester. Paul Black, Charles Bessey Professor of biological chemistry, was named a 2018 fellow of the American Association for the Advancement of Science, the world’s largest general scientific society. Black was recognized for contributions to the field of lipid biochemistry, particularly for his work to define how fatty acids are transported and activated across biological membranes. 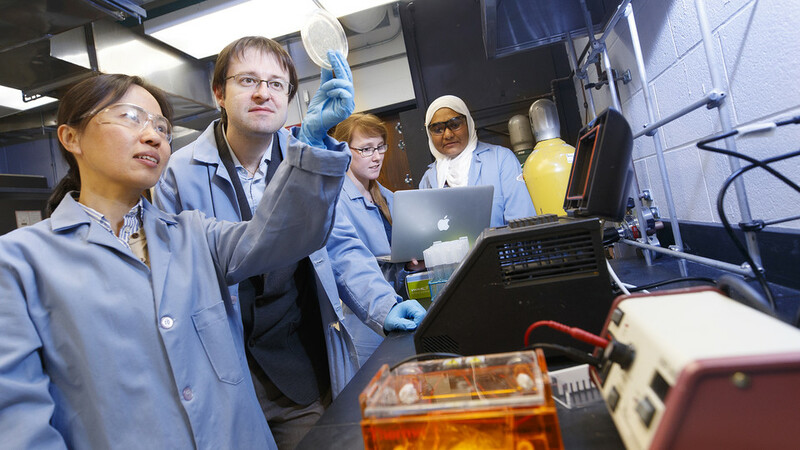 His work may provide clues for treating and preventing problems like obesity, diabetes, fatty liver disease and heart disease. AAAS fellows are selected by peers for scientifically or socially distinguished achievements that advance science or its applications. Judy Walker, Aaron Douglas Professor of mathematics and associate vice chancellor for faculty and academic affairs, was named a fellow of the Association for Women in Mathematics. The fellows program recognizes individuals who have shown a sustained commitment to supporting and advancing women in the mathematical sciences. Walker was selected for her leadership in mentoring, service, teaching and research. Susan Hermiller, mathematics, was named a fellow of the American Mathematical Society. Fellows are members who have made outstanding contributions to the creation, exposition, advancement, communication and utilization of mathematics. Hermiller was recognized for contributions to combinatorial and geometric group theory and for service to the profession, particularly in support of underrepresented groups. 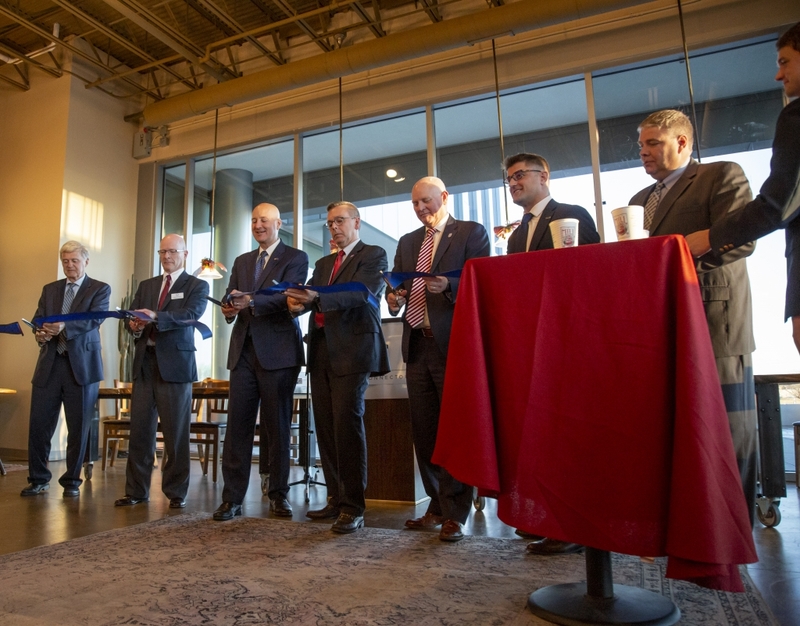 Nebraska Innovation Campus held a ribbon-cutting Nov. 21 for its Biotech Connector. The facility provides specialized lab space for biotech startups and leases labs to small and startup companies, including those in biomedical research, pharmaceutical development and agriculture. 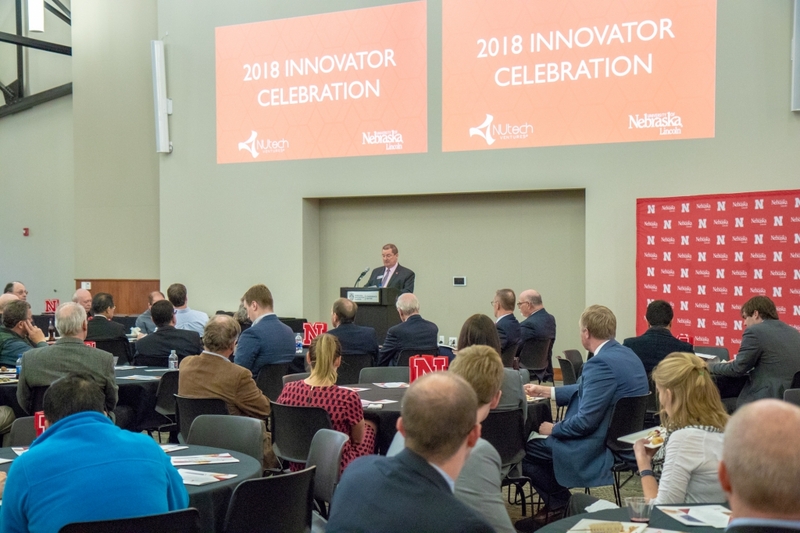 The event included University of Nebraska-Lincoln Chancellor Ronnie Green and representatives from the Nebraska Department of Economic Development. Husker engineer Benjamin Terry and colleagues from the National Strategic Research Institute were awarded $3.7 million in new funding from the Department of Defense for a project that expands research into a potentially life-saving treatment for soldiers with traumatic lung injuries. The project, launched in 2016, focuses on delivering microscopic bubbles of oxygen to the abdomen via a portable device, mimicking the role of alveoli, tiny air sacs in the lungs that release oxygen and remove carbon dioxide. The technology allows the damaged lung or lungs to rest while enabling the brain and other critical organs to maintain function while the patient is en route to a medical facility. 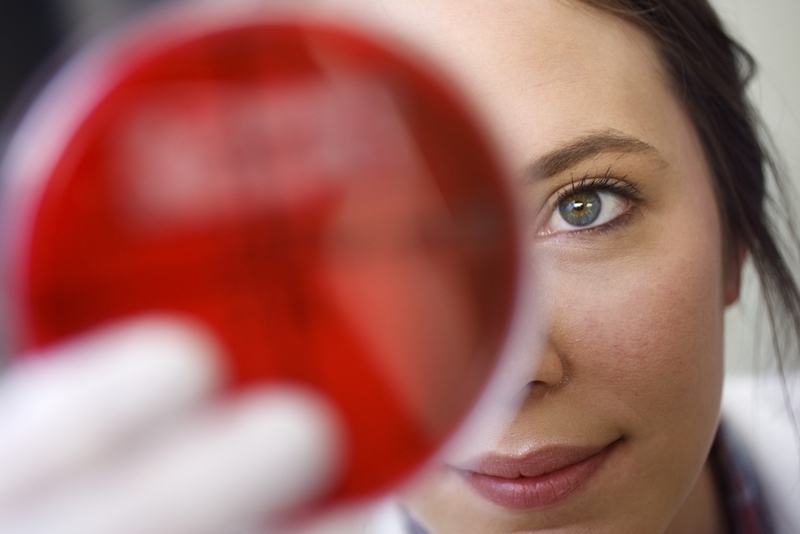 The university is helping to lead a new national institute addressing antimicrobial resistance, a major global health concern that leaves 2 million people sick annually in the U.S. The Association of Public and Land-grant Universities and the Association of American Veterinary Medical Colleges announced in July that Nebraska, Iowa State University, the University of Nebraska Medical Center and the University of Iowa would establish the Institute for Antimicrobial Resistance Research and Education, whose mission is to implement the recommendations of a joint APLU and AAVMC report addressing how veterinarians, physicians and other scientists can address antibiotic-resistant bacteria. Rodney Moxley, Charles Bessey Professor of veterinary medicine and biomedical sciences, will provide leadership in the institute. With a nearly $500,000 grant from the National Science Foundation, Massimiliano Pierobon is expanding the university’s research and outreach focused on wet communication. The emerging field, coined WetComm, focuses on information transmission in biochemical environments and has potential applications in tissue re-engineering, cancer treatments and environmental improvement. Pierobon, assistant professor of computer science and engineering, will engage Husker undergraduates in his research, guiding them in developing WetComm applications. They will share their work with Lincoln East High School students, with the goal of encouraging them, particularly minorities and women, to pursue WetComm and programming biology fields in college. With the goal of expanding minority opportunities in materials science, Nebraska’s Materials Research Science and Engineering Center is partnering with Tuskegee University, one of the nation’s leading historically black universities, on a six-year, $3.9 million project funded by the National Science Foundation. Faculty from both institutions are developing opportunities for Tuskegee students to engage in research focused on polymer-based materials called multiferroics, and to participate in summer research fellowships, joint workshops and a new materials science course at Tuskegee. The project is one of eight collaborations funded by NSF’s Partnerships for Research and Education in Materials program. The University of Nebraska system was named among the world’s top 100 institutions in earning U.S. patents. A report from the National Academy of Inventors and Intellectual Property Owners Association ranked NU 70th in the number of U.S. patents earned in 2017. The NU system earned 37 patents in 2017, with Husker inventors holding 27 of them. 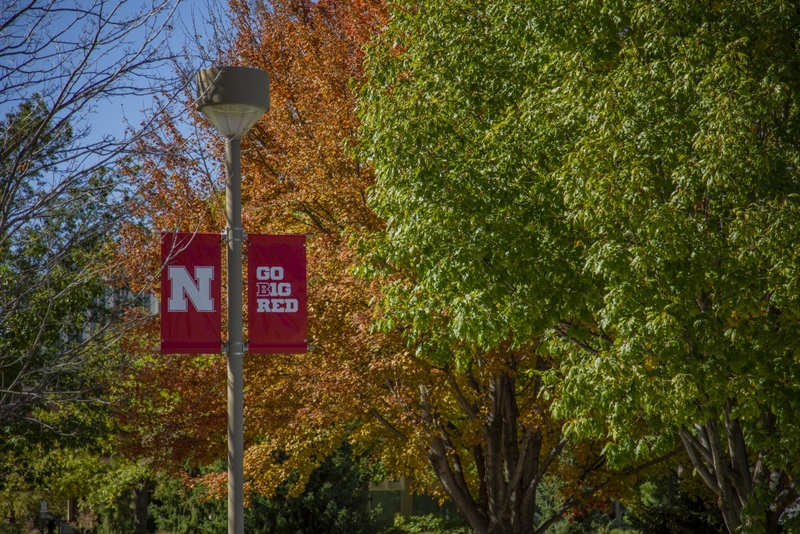 Intellectual property is licensed and commercialized through NUtech Ventures, which serves the University of Nebraska-Lincoln, and UNeMed, which serves the University of Nebraska Medical Center and the University of Nebraska at Omaha. In June, the University of Nebraska and the United States Strategic Command announced that NU’s National Strategic Research Institute was renewed with a five-year, $92 million contract from the U.S. Air Force. The institute, launched in 2012 with an $84 million contract, researches methods to combat weapons of mass destruction and maintain safety for the U.S. and its allies. The new contract is enabling new research opportunities across the four NU campuses, helping them meet the needs of USSTRATCOM and the Department of Defense. NSRI is the newest of 13 university-affiliated research centers across the U.S.
Andrew Jewell, professor of digital projects and editor of the Willa Cather Archive. He received a second round of funding for The Complete Letters of Willa Cather, a project aimed at publishing annotated versions of the renowned author’s letters online as part of the Willa Cather Archive in the Center for Digital Research in the Humanities. Jeannette Eileen Jones, associate professor of history and ethnic studies. Her project unites scholars from four universities to explore little-known patterns of American movement across Africa during the Gilded Age in the late 19th century and the Progressive Era, which ran up to Prohibition in the 1920s. Katherine Walter, co-director of the Center for Digital Research in the Humanities and professor and chair of Digital Initiatives and Special Collections for University Libraries. She will advance the work of the Nebraska Digital Newspaper project, an effort by NEH and the Library of Congress to digitize historically significant newspapers from each state. At the Nov. 6-8 fall Research Fair, the university community celebrated faculty accomplishments at the annual Faculty Recognition Breakfast; learned how to partner with foundations and industry through workshops and panels; and explored other research topics like gene sequencing, leadership opportunities for women in science and team building for interdisciplinary projects. 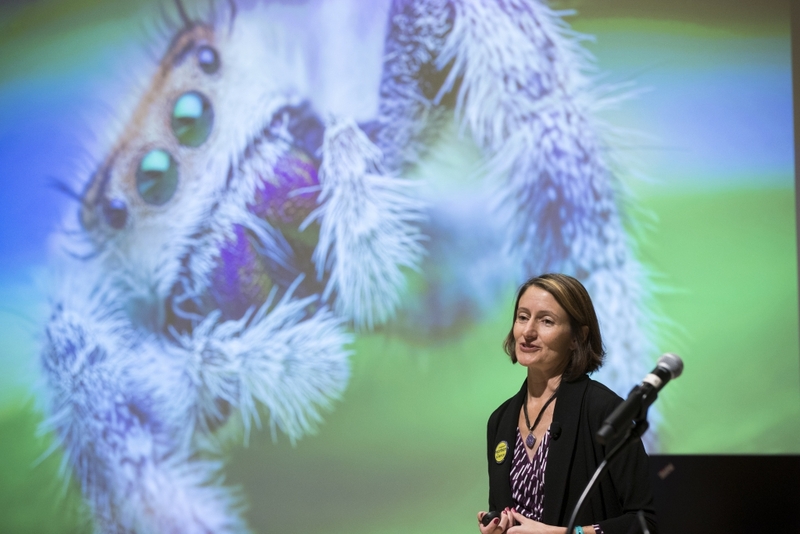 The fair included Eileen Hebets’ Nebraska Lecture, “Using Arachnids to Inspire D.R.E.A.M.S.,” in which she discussed her groundbreaking discoveries, passion for informal science education and the curiosity and persistence underlying her arachnid and animal behavior research. Hebets is a professor of biological sciences. Watch the Nebraska Lecture. The Office of Research and Economic Development sponsors the biannual fair in cooperation with campus partners.